The Board granted Opposer 784’s motion for summary judgment, applying issue preclusion to the issue of nonownership of the mark shown below for, inter alia, restaurant services. 784 8th Street Corp. dba ZAN'S v. Denise Ruggiero, Opposition No. 91214883 (November 2, 2018) [not precedential]. The subject opposition was suspended in view of a civil action in the U.S. District Court for the Eastern District of New York, in which Opposer 784, together with Pasquale Ruggiero, filed various claims and sought a declaratory judgment regarding ownership of the ZAN's logo (above) and the word mark ZAN'S. 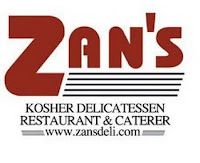 The district court Granted plaintiffs' motion for summary judgment on the ownership claim, declaring that "Plaintiffs are the owners of the Zan's name, logo, and materials." Opposer then moved for summary judgment at the TTAB on the grounds of fraud and nonownership. Because opposer had not served its initial disclosures, its motion for summary judgment on the ground of fraud was premature, but Trademark Rule 2.127(e)(1) makes an exception for a summary judgment motion based on issue preclusion. Issue preclusion bars the re-litigation of the same issue in a second action and applies whether or not the second action is on the same or a different cause of action. B&B Hardware, Inc. v. Hargis Indus., Inc., 136 S. Ct. 1293, 113 USPQ2d 2045, 2051 (2015); Lukens Inc. v. Vesper Corp., 1 USPQ2d 1299, 1301 (TTAB 1986). The application of issue preclusion requires: (1) identity of an issue in the current and prior proceedings; (2) actual litigation of that issue in the prior proceeding; (3) that determination of the issue was necessary in entering judgment in the prior proceeding; and (4) that the party with the burden of proof on that issue in the second proceeding had a full and fair opportunity to litigate the issue in the prior proceeding. NH Beach Pizza, 119 USPQ2d at 1864 (citing Montana v. United States, 440 U.S. 147, 153-54 (1979)). As to factor 1, there was no genuine dispute that the "key issue" in this proceeding is identical to one of the issues decided in the civil action: ownership. The district court found that, although applicant Denise Ruggiero played a part in designing the Zan's logo and materials, she was an employee of plaintiffs at the relevant time. As to factors 2 and 3, there was likewise no dispute that the issue of ownership was raised, litigated, and actually adjudged in the civil action. Furthermore, the ownership determination was necessary to the court's decision. As to factor 4, there was no genuine dispute that applicant had a full and fair opportunity to litigate the ownership issue in the civil action. In view of the foregoing, we find, as a matter of law, that Opposer is entitled to summary judgment based on issue preclusion. Because Applicant was an employee of Opposer when she helped create the ZAN’S Logo in the subject application, Opposer (together with Pasquale Ruggiero), not Applicant, owns the ZAN’S Logo, and the use-based subject application filed by Applicant, who did not own the subject mark, was therefore void ab initio. TTABlog comment: Pretty straightforward, right?